The Hammer Black Widow bowling balls keep rolling out and dominating the lanes. The Hammer Black Widow Black/Gold takes the Aggression Hybrid coverstock, and pairs it with their most angular core, the Gas Mask, to create a ball that goes long and then offers a strong backend motion when facing medium to heavy oil. This bowling ball is Carbon Fiber Infused! Carbon fiber is one of the toughest materials on earth. Hammer decided to add this material to the inner core of this ball for added strength and durability allowing them to offer an incredible 3 year warranty. Similar Balls: Same Hook Potential, Lane Conditions & Coverstock as the Hammer Black Widow Black/Gold X-OUT. Yes, this ball is still USBC approved. X-out means there could be an irregular overall weight, an irregular pin or top weight or a slight surface blemish. This ball is a brand new ball. There may be some type of irregularity. The ball may contain an irregular gross weight, an irregular pin/top weight, or a slight surface blemish. We do ship to Poland and it would take about 7-10 business days to arrive. Unfortunately, the shipping is not free to ship to Poland. 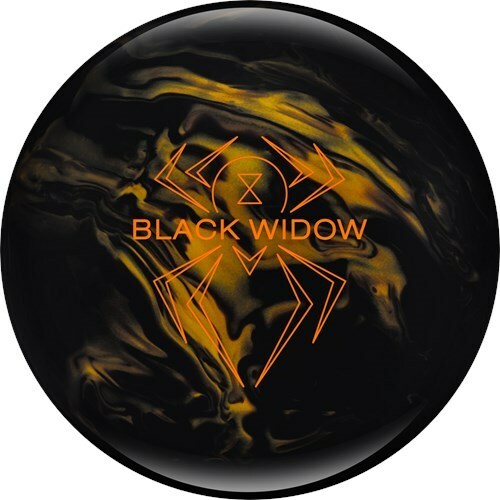 Due to the time it takes to produce the Hammer Black Widow Black/Gold X-OUT ball it will ship in immediately. We cannot ship this ball outside the United States.